It is with great sadness that we announce that Bob Wilcox, one of our church wardens, died after a very short illness, on April 18th 2012. 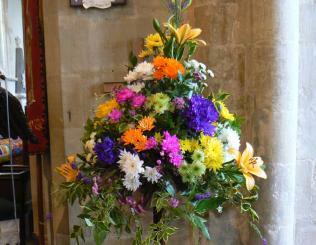 A Thanks Giving service to celebrate his life was held on Thursday April 26th in St Laurence Church, Downton. As Bob was so involved in the Church anyone wishing to give a donation to St Laurence Church can do so by sending it to The Church Treasurer, Mark Merrill 142 The Borough, Downton SP5 3LT. Donations can be gift-aided if you are a UK taxpayer. Please click here to download a form. After a career in the Royal Army Medical Corps, which gave him his first taste of life in the Gulf, Bob left the Army in 1978 to become Director of Al-Corniche Hospital in Abu Dhabi for four years. There followed a series of posts in healthcare management & business development in the Middle East, East Africa and Germany. Bob became a Trustee of the Jerusalem and the Middle East Church Association in 2007; he was also a member the Committee of the Association of the Friends of the Diocese of Cyprus & the Gulf. Bob leaves his wife, Emily, and two sons. Bob and Emily's eldest son is Professor of Paediatric Urology at the University of Colorado (Denver) and their younger son has lived and worked in Dubai for the last 16 years. Since retiring from paid employment, in 1999, Bob has been involved in the NHS as a Non-Executive Director and other charities. 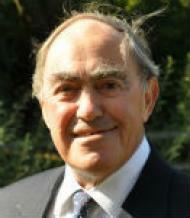 At the time of his death Bob was a Churchwarden and Lay Chairman of the St Laurence Parochial Church Council after relinquishing his role as the PCC Treasurer. Bob was a much loved colleague, friend and a brother in Christ. We extend our love and condolences to Emily, Duncan and Alisdair.